Our management team at Aladdin Doors has created a business model with unrivaled customer loyalty – and that’s the advantage we provide for our franchise owners. Combined with a solid business model, relatively low franchise can be an exceptional opportunity for a hard-working, business-minded individual. 1. A midrange garage door replacement may not be high on many wish lists; it’s one of those jobs that you do because it’s needed. But it adds curb appeal and function, and it pays back 71.9%, on avareage, of the $1,512 avarage cost. 2. A high-end garage door replacement recoups almost as much: 71.1% of the $2,994 avarage cost. As the economy becomes more service and technology oriented, as more women enter the work force, and as a larger percentage of the population grows older, growth areas in franchising are responding to these changes. The industry categories in franchising that are expected to continue to experience rapid growth for the start of the new century are service-related fields such as homw repair and remodeling. Highly motivated to accomplish success. Sales skills and customer service oriented. Commitment to follow a proven system. Marketing and Management experience preferred. Has a good credit and meet our financial requirements. We are the world’s only decorative concrete franchise—there is no national franchise competitor in this $1 billion annual market. Our products and services are environmentally safe and add true value to residential and commercial properties. Since our beginnings in 2006, we’ve used proprietary products and techniques to turn ordinary concrete into works of art at a fraction of the cost of stone, tile, brick, or wood. Best of all you do not need experience in construction or concrete—just a solid work ethic and a genuine desire to succeed. We’ll teach you the rest. Why this industry? Growing, green industry. Provide the look and feel of natural surfaces at a fraction of the cost. Why this franchise? Shown to be recession resistant; demand has been explosive. Margins are outstanding; Executive model—no dirty work and no concrete experience required. No competition in the franchising space. Ideal Candidate: Good manager/networker with some sales aptitude. None of our current owners had any experience in the trades, masonry, construction, etc. Current owners include a retired commercial airline pilot, a naval nuclear technician, and a buyer for women’s fashion. Our mission is to make you the premier provider of professional landscape management services for Fortune 500 companies in your market. To help you grow, and to make you profitable. When you win, we win. Expert support systems and procedures. Our ideal franchisee is a team player, strong, positive leader; has sales and marketing experience, passion to serve people. Design, manufacture and installation of custom closet and storage organizers. Background in sales/marketing or management a plus. Single Units, Multiple Units, and AD/MD available. Closet Factory has franchise opportunities worldwide. They include individual franchise territories and master licenses for entire countries. This company has over two decades of success proven experience and innovation. We engineered the industry’s first truly custom closet. By continuing to set new standards in client care, customization, and craftsmanship, Closet Factory has grown to become the nation’s leading franchise in closet systems with more than 117 territories throughout the world. Closets By Design franchisees design, sell, manufacture, and install all of their products. By using state-of-the-art equipment our franchisees offer solutions for closets, garage organizers, entertainment centers, and in-home office systems. Closets By Design has a 25 year history of success. Our proven business model allows people to be in business for them self, not by them self. Concrete Raising of America is currently seeking individuals/groups interested in providing innovative services within seemingly untapped markets via turnkey franchise operations in the United States and internationally. Concrete Raising franchises will provide concrete raising and grouting services to the residential, commercial/industrial, and municipal sectors of major metropolitan areas. The service of raising concrete can be a stand-alone business or used in conjunction with other concrete and/or construction related services. Concrete Raising Corporation (CRC) has been in the concrete raising business since 1947, having made significant contributions to the processes and technologies used in the slab raising industry today. In 1993, Concrete Raising of America, Inc. was established with the venue of forming business associations around the United States, and ultimately on an international basis. Since it’s inception, Concrete Raising of America has actively shared the elements of successfully raising concrete through its establishment of Franchises. Many of these Franchise Associations were formed with business owners, working in the concrete industry, interested in greatly improving their existing service line income potential. Some Associations were formed with entrepreneurs interested in becoming major players in slab raising. Those who were already in the concrete business, gained the ability to offer their customers the alternative of raising concrete versus replacing it. Those with no previous experience were soon running turnkey businesses of their own. Executive model handyman business specializing in residential/commercial handyman projects and home modifications for the senior, (aging in place), and disabled market. 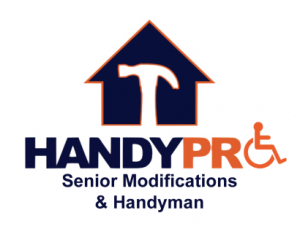 HandyPro can finish a homeowners to do list and/or help with handicap accesibility by installing a grab bar, widen a doorway, add a wheelchair ramp or remodel a bathroom. The model drives profitability by using a combination of specialized employees and contractors with a dedicated scheduling center that also eliminates the need for an office manager/dispatcher. Franchise offers a money back guarantee ($9,500 franchise fee), if franchisee does not reach $100,000 in gross sales by end of year one. Recognized in 2011 Entrepreneur’s Franchise 500. Focus on home modifications and specialized equipment for senior and disabled market through established local and national referral sources. This is HUGE! Pro-Crew Scheduling Center fields calls and books appointments on behalf of franchisee. This also alleviates the cost of office manager or dispatcher. Business model utilizes combination of specialized employees and skilled contractors. Provides wider spectrum of services to clients. Proven technician recruitment and retention program. Franchise Marketing Assistance. Note: In addition, HP founder and wife are local radio talk show hosts. considered local handyman “experts” by local media. Already leveraged nationally. Accounting support. HP handles all bookkeeping for franchisee for first six months. National initiative in place to help secure retail and property management accounts for franchisees. Already doing business with Starbucks, McDonalds and several other national retailers on the local level. If franchisee does not 100k gross sales by end of year one, franchise fee ($9500) is refunded. The opportunities to succeed with the HomeTeam franchise are better today then ever before. When buying a home, it has become standard practice to have a home inspection before the sale closes. A truism in sales and marketing is that you have to know what your customers want to buy. The team approach to Inspections is unique in the industry and will enable an owner to immediately differentiate them self from the competition and carve their niche out of the home inspection marketplace. But it doesn’t stop there; clients and Real Estate professionals alike also appreciate our timely, narrative reports and our unique approach to the walk through. HomeTeam appeals to the ambitious and professional businessperson because it involves working with other professionals within the local business community rather than simply selling products to the general consumer. Organizationally, you’ll be light years ahead, too. HomeTeam understands your desire to run a business. Our proprietary training and support gives the organizational structure to effectively manage, market, and grow a franchise. Age is catching up with the Boomers who made Do-It-Yourself (DIY) so successful. Instead of getting up on a ladder to install that new ceiling fan, they’d now rather pay someone to do it. This shift has created the skyrocketing Do-It-For-Me (DIFM) market-and it’s huge. Over 80-million Boomers have turned 60. Add dual income families with time constraints and upwardly mobile young professionals, and you have a North American market that will spend over $150-billion annually on home repair services. Growth in DIFM is explosive – The Wall Street Journal identified it as one of the fastest-growing franchise categories.House Doctors Business Model Can Propel Your Success. House Doctors knows exactly how customers shop, select, and value handyman services. Our business model is based on this market insight which means from day one, you’ll be selling what and how your customers want to buy. Our Professional approach to the industry will enable you to immediately differentiate yourself from the competition and carve your niche out of the “handyman” marketplace. But it doesn’t stop there; property owners, whether residential or commercial, appreciate our unique ability to take care of most home improvements. The potential is huge. That’s the House Doctors difference. In 1982, we helped pioneer the craft of refacing cabinets, giving homeowners a cost effective way to reuse existing cabinets by replacing the trim, doors and drawer fronts. Today, Kitchen Solvers is a complete kitchen remodeling system offering cabinet refacing, new custom cabinets, countertops and more. After remodeling more than 40,000 kitchens, we’ve developed incredible kitchen design expertise, terrific relationships with our vendor partners, unmatched buying power and an industry-leading franchise system. Kitchen Tune-Up is a service franchise offering different kitchen and bath solutions for any budget. We strive to remodel expectations and make the experience unlike any other. We have 4 different price points available to update or completely remodel a kitchen or bath. Growing segment (remodeling and housing is back on the up tick). Aging baby boomers are our target and we are getting more of those daily. There is an abundance of information on HGTV and other venues along with magazines that continue to get consumers excited about the possibilities for their home. We are very tech-savvy. We have online training available, we have an easy to use quote program to quote on site every time, we give loaded tablets to each franchise to use in home, our website is 2nd to none with design tool feature for customers. Our ideal candidate is a team player. Someone that understands and appreciates how systems work for efficient and quality work. A candidate that is capitalized to start a business and start their marketing. Miracle Method is the nation’s largest surface refinishing organization. Our franchise network started over 30 years ago and has grown to more than 125 franchises across the country. In fact, we are larger than the next three biggest refinishing franchises combined. Miracle Method fills a unique niche that actually thrives in any economy. We focus on bathroom and kitchen remodeling without costly and messy replacement. Our expertise is refinishing bathtubs, sinks, showers, tile and countertops. Our strength comes from the collective knowledge and expertise of our franchisees. We have some of the most experienced professionals in the industry. Over twenty of our franchisees have been in business for 15 years or more. Several of those owners have been with Miracle Method for over 25 years!Being the best involves having the right processes, the best materials, and the commitment to serve our customers. We consistently receive a 98% or better satisfaction rate and glowing testimonials from our customers. Franchisee will be operating a full-service bathroom remodeling business in their local territory. The owner does not need to have construction or remodeling experience. The Re-Bath system caters to the owner/manager who has the desire to add value to homes in their local market through Re-Bath’s proprietary products and remodel services. 11,700,000 projected remodeling project starts in 2014 marking the beginning of a remodel boom. Stable company with a 35 year operating history, our franchise network has done over 1,000,000 bathroom remodels since our founding and our franchise community completes 36,000 bathroom remodel projects every year. Proprietary bathtub and shower liner products, giving the franchisee competitive advantage in their market with our product lines manufactured in the United State. Over $50 million in annual buying power to drive buying discounts for the franchise network. ShelfGenie is a home based business model providing a niche product within a mature industry. We have tools and resources in place such that franchisees can focus on scaling a business up. Several factors have added to our recent franchisee success including the housing market dropping in conjunction with the economy slowing down have been some what of a perfect storm for us. In addition to market influences, a significant demographic pool we sell into deem our product a need vs. a luxury item. The ShelfGenie Business Process, Business Support Center, and WishPortal combine to bring operations and management systems only found at large companies – without the fixed overhead. Smart View Window Solutions, a new franchise offering by Moran Family of Brands occupies a strategic position in the window film industry. For a minimal investment, Smart View provides entrepreneurs with the opportunity to start a home/mobile-based business that offers a superior model in a rapidly growing market segment. Smart View Window Solutions specializes in residential and commercial window tinting. Smart View Window Solutions products meet the demand for energy efficiency, heat rejection and UV rejection to help home and business owners lower costs and protect their valuables. Solar Universe is a rapidly expanding Solar Energy sales and installation company based in Livermore, CA. We have 41 locations in 13 states and are expanding. Solar energy is a cornerstone to the explosive movement to Alternative and ‘Green’ energy production, carbon/environmental minimization, and decreased reliance on imported oil. Solar Energy production is possible across the US, and with Federal, State and possible local incentives has become a viable and affordable source of clean energy. Currently growing at over 108% per year, the Solar Industry is a unique bright spot in the economy. We are a leader in the industry where the top 10 installation companies install 66% of all solar nationwide. We are 1 of 4 national solar companies. Solar Universe franchisees focus their energies on sales, marketing, and installation, while the Solar Universe “home office” provides the technology backbone of the network, conducts ongoing Research & Development, vendor and supplier negotiations, and national/international branding activities. Tailored Living is the merger of two great brands in the Home Organization business; Closet Tailors and Premier Garage. We focus on helping home and business owners become more organized by designing and installing custom storage solutions in their closets, garages, pantries, home offices, laundry rooms and commercial locations. The Premier Garage brand has been in existence since 1999 and brings with it many large, successful franchisees that are ready to validate positively. The real estate market is forcing many homeowners to downsize or remain in a home they may be outgrowing, and as a result the market for custom storage solutions is surging once again. With low overhead, high margins, no inventory, and a large territorial footprint this business is great for candidates who want to be heavily involved with minimal employees as well as for the empire builder who wants a management role and growth potential. Tailored Living is pleased to announce its VETFRAN participation. Tailored Living has created the Million Dollar Franchise Event. Broker commissions are not affected by this discount. During our Million Dollar Veteran Franchise Event, we will discount $5,000 off the franchise fees. The Grounds Guys is the newest service franchise opportunity in the landscaping, lawn and garden, lawn care industry. It’s a new name in the U.S, but comes with more than 20 years of landscaping franchise experience in Canada. And, like the other great franchise opportunities from The Dwyer Group, it comes with all the systems, training, support and tools you need to create a profitable service franchise business. As a full service grounds care company, our established systems allow us to deliver industry-leading solutions to commercial and residential clients. Built on a family tradition of caring, The Grounds Guys are driven by a passion to exceed the expectations of our customers. Our Franchisees will provide commercial, residential and municipal property maintenance and landscaping services; snow removal services (depending on location); junk, trash and debris removal; landscape design; horticultural services, namely, sod installation, lawn and vegetation fertilization and treatment; and other related services and products. UbuildIt is a construction consulting business that allows the home owner to act as their own general contractor. We show people how to build or remodel their own fully custom home …. and save up to 30% (possibly more) versus hiring a quality general contractor …. and you don’t need any construction experience. It’s real simple: You manage the project. We are the SYSTEM! You make all the decisions on design, materials, finishes, labor …. We provide the expertise, the experience, the subcontractor contacts, and the contacts for financing, design, and materials. Simply put the know-how to ensure that the job gets done right, on time and on budget. Working together we will plan out every last detail of your project and conduct site visits with you during construction. Our goal is to get you exactly the home you want for the price you want! Not to mention that you can move in with substantial instant equity – OR add major upgrades that you might not be able to afford with a traditional builder! The construction industry is a multi-billion dollar industry. We are evolving to a Do It Yourself (DIY) world; everyone likes to save money. No other construction consulting franchise available, we assist the owner builder in making their dream come true! Only construction consulting franchise available. Low start up, low number of employees with high profit potential. Undercover Systems is the premier under deck ceiling company in the U.S, backed with many years of industry experience, with unmatched quality and design. Residential Home Inspection Service Inspections primarily generated by developing professional relationships with real estate agents. WIN Home Inspection (WIN) is a nationally recognized leader in home inspection services, having performed over 750,000 inspections since 1994. With more than 170 franchised locations in 30 states across the U.S., the WIN network of professional home inspectors provides a complete array of premium inspection services for home buyers, sellers and owners. As a WIN franchise operator, you will share information with home buyers and sellers by providing them the information they need to make an informed decision on one of life’s biggest investments. Zippy Shell franchisees will provide mobile self storage and moving services to customers by delivering a Zippy Shell Unit right to the door of the customer’s home or business( one of Zippy Shells direct competitors includes PODS). Because of our capital costs we are able to provide the best value solutions to customers looking for these services. The customer packs the Zippy Shell Unit with the goods they wish to store. Once the customer has completed packing the Zippy Shell Unit the Zippy Shell franchisee collects the Zippy Shell Unit and delivers it to a Zippy Shell approved warehouse where the internal storage container is stored until the customer requests to have their goods returned. This limited opportunity will allow Zippy Shell franchisees the ability to own and operate a self storage business in an exclusive territory with the support of a highly experienced executive management team that was responsible for the development of large real estate franchise networks. It is a growing industry with the fastest growing segment being mobiles storage and moving. Statistically on out of 11 people are in storage and they stay and average of 14 months. There are a number of benefits over our competitors, however, the Key Advantage with the Zippy Shell system is that it is approximately 50% more cost effective than alternative mobile storage companies to establish and operate. The second major advantage is that a Zippy Shell Unit can be left on the street because it is a registered vehicle, where most competitors (such as PODS) are limited to delivery locations because the leave a container at the customers premises. Lastly, Zippy Shell have clear marketing and franchising expertise over its competitors which assists the franchisees in growing their businesses.